Film Review: "The Martian" (2015). "Every human being has a basic instinct: to help each other out. If a hiker gets lost in the mountains, people will coordinate a search. If a train crashes, people will line up to give blood. If an earthquake levels a city, people all over the world will send emergency supplies. This is so fundamentally human that it's found in every culture without exception." This quote is the soul of The Martian. This science fiction film directed by Ridley Scott and written by Drew Goddard. Based on Andy Weir's 2011 novel of the same name. During a manned mission to Mars, Astronaut Mark Watney is presumed dead after a fierce storm and left behind by his crew. But Watney has survived and finds himself stranded and alone on the hostile planet. With only meager supplies, he must draw upon his ingenuity, wit and spirit to subsist and find a way to signal to Earth that he is alive. Millions of miles away, NASA and a team of international scientists work tirelessly to bring "the Martian" home, while his crewmates concurrently plot a daring, if not impossible, rescue mission. As these stories of incredible bravery unfold, the world comes together to root for Watney's safe return. Andy Weir, the son of a particle physicist, has a background in computer science. He began writing the book in 2009, researching related material so that it would be as realistic as possible and based on existing technology. Weir studied orbital mechanics, astronomy, and the history of manned spaceflight. Having been rebuffed by literary agents when trying to get prior books published, Weir decided to put the book online in serial format one chapter at a time for free at his website. At the request of fans, he made an Amazon Kindle version available for 99 cents. The Kindle edition rose to the top of Amazon's list of best-selling science-fiction titles, where it sold 35,000 copies in three months, more than had been previously downloaded free. This garnered the attention of publishers: Podium Publishing, an audiobook publisher, signed for the audiobook rights in January 2013. Weir sold the print rights to Crown in March 2013 for over US$100,000. The book debuted on the New York Times Best Seller list on March 2, 2014 in the hardcover fiction category at twelfth position and went on to become a bestseller. 20th Century Fox optioned the novel in March 2013, and producer Simon Kinberg was attached to develop the novel into a film. In the following May, Goddard entered negotiations with the studio to write and direct the film. Goddard wrote a screenplay for the film, and Matt Damon expressed interest in starring under Goddard's direction. Goddard then pursued an opportunity to direct Sinister Six, a comic book film about a team of super villains. Kinberg then brought the book to Ridley Scott's attention. 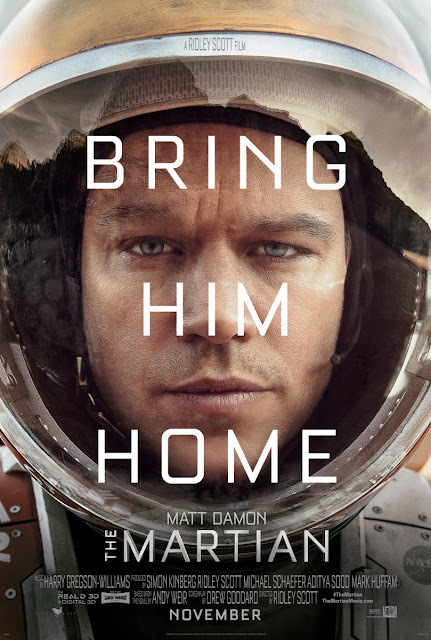 In May 2014, Scott entered negotiations with the studio to direct the film with Damon cast as the film's stranded astronaut. Following Scott's commitment, the project picked up the pace and was quickly approved. Filming began in November 2014 and lasted approximately 70 days. The film first shot at Korda Studios (in Hungarian: Korda Filmstúdió) 26 km west of Budapest, Hungary, one of the largest in the world. About 20 sets were constructed, which isn't many in comparison to other films, but they were much more "technical". To put that in perspective to other Ridley Scott films, he used 70 on Exodus: Gods and Kings (2014) and over 100 on American Gangster (2007). The practical backdrop for Mars was filmed in Wadi Rum, which is a UNESCO world heritage site located in Jordan. Wadi Rum had been used as a location for other films set on Mars, including Mission to Mars (2000), Red Planet (2000), and The Last Days on Mars (2013). Weir, who developed a relationship with NASA after publishing the novel, involved the space program in working with Scott to accurately depict the film's science and technology. NASA was consulted in order to get aspects of space and space travel, specifically in relation to Mars, with the most accuracy. NASA is federally funded, yet charges no one, including private for-profit organizations, any fees for use of and access to its archives and consultancy. The mission to Mars in the film emulates actual missions that NASA is planning for the future. The film stars Matt Damon, Jessica Chastain, Kristen Wiig, Jeff Daniels, Michael Peña, Kate Mara, Sean Bean, Sebastian Stan, Aksel Hennie, and Chiwetel Ejiofor. The performances in the film were out-of-this-world and astounding. The film features an ensemble that each gave their own unique flavours into the mix. Damon's unflappable performance, in particular, is perhaps the film's biggest asset. Despite the brilliant cast, unfortunately though I felt that the secondary characters were underdeveloped and underused, and missed out during the critical moments in the film. Sharp, funny and thrilling, The Martian packs just the right amount. Terrific stuff, a thrilling sic-fi survival story indeed. It is a fun, tense sci-fi thriller that's masterfully directed and visually stunning. Scott laces the technical details and the humour from the book enough to satisfy hard science lovers and science fiction fans alike. It's a huge and technically dazzling film and that the film's panoramas of an astronaut journey across the vast landscapes of mars and space station exteriors are at once informative and lovely. It is the best pure sci-fi film since Gravity (2013). The film restores a sense of wonder, terror and possibility to the big screen that should inspire awe among critics and audiences worldwide. A geeky yet impressive comeback for Scott. The 3-D effects, added in post-production, provide their own extraterrestrial startle: a hailstorm of debris hurtles at you, as do a space traveler's thoughts at the realization of being truly alone in the universe. However, the film stumbles with its pacing and secondary characters. In the end, the film will leave you as breathless as if you'd been dropped on the Martian surface without a suit. It's more than a movie. It's some kind of miracle. Also, see my review for Exodus: Gods and Kings. 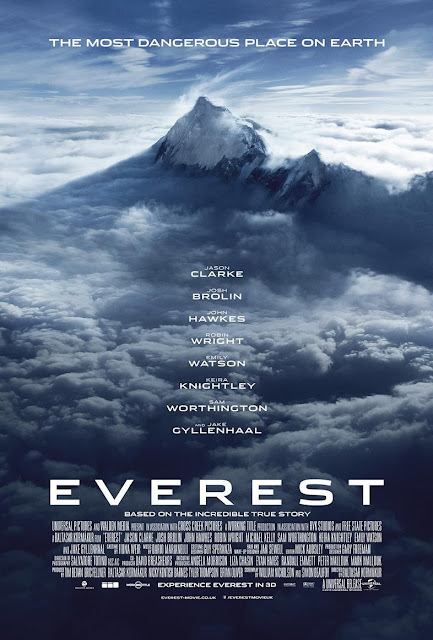 The tagline of the film reads "The most dangerous place on Earth", and that perfectly describes the infamous landmark in Everest. This disaster drama film directed by Baltasar Kormákur and written by William Nicholson and Simon Beaufoy. It is based on the real events of the 1996 Mount Everest disaster. As well as various books about the 1996 Mt Everest disaster, including Jon Krakauer's Into Thin Air, and interviews with survivors. On the morning of May 10, 1996, climbers, Rob Hall and Scott Fischer, from two expeditions start their final ascent toward the summit of Mount Everest, the highest point on Earth. With little warning, a violent storm strikes the mountain, engulfing the adventurers in one of the fiercest blizzards ever encountered by man. Challenged by the harshest conditions imaginable, the teams must endure blistering winds and freezing temperatures in an epic battle to survive against nearly impossible odds. This movie is based on the worst disaster to ever occur in the Mount Everest region in Nepal, The 1996 Mount Everest disaster. Which refers to the events of 10–11 May 1996, when eight people were caught in a blizzard and died on Mount Everest during summit attempts. Over the entire season, 12 people died trying to reach the summit, making this the deadliest day and the deadliest year on Mount Everest. But a striking coincidence occurred when this movie was being shot in Nepal. On April 18, 2014 16 people were killed from the 2014 Mount Everest avalanche and the casualty was higher than the 1996 disaster which this movie is based on. The shooting had to be postponed and the disaster took the most lives ever taken in an Everest Disaster mostly Sherpas (all Nepalese) who were preparing ground work for the upcoming climbing season. However, the 1996 disaster gained wide publicity and raised questions about the commercialization of Everest. A consultant on the movie, survivor Lou Kasischke, published his account of the Everest tragedy in his book, After the Wind. The film features an ensemble cast that includes Jason Clarke as Rob Hall, Jake Gyllenhaal as Scott Fischer, Josh Brolin as Beck Weathers, John Hawkes as Doug Hansen, Sam Worthington as Guy Cotter, Robin Wright as Peach, Michael Kelly as Jon Krakauer, Keira Knightley as Jan Arnold, Emily Watson as Helen Wilton, Thomas Wright as Michael Groom, Martin Henderson as Andy Harris, Elizabeth Debicki as Dr. Caroline Mackenzie, Naoko Mori as Yasuko Namba. The performances in the film were superbly portrayed and tried to honour the actual men and women involved. However, the characterizations all suffered from the one element associated with the disaster genre: predictability. Everest is a technically well crafted Hollywod entertainment constructed as a series of grippingly fateful 'moments of truth'. While the special effects and cinematography are well done and quite impressive, this film suffers a lack of any actual drama or authentic characterizations. The end result is a film that offers nifty eye-candy and nothing else. The story could've told itself in a compelling way without invented drama. St. Matthew's Chamber Orchestra Concert. The tagline of the film reads "The border is just another line to cross." 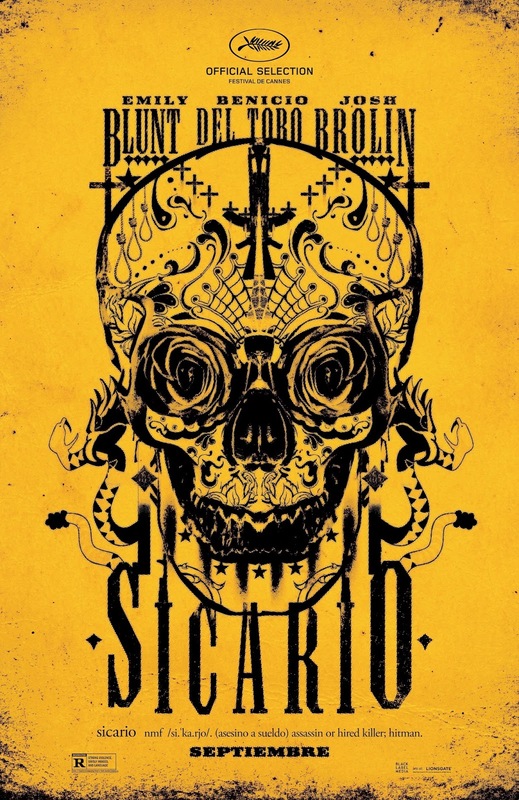 This is at the heart of Sicario. This crime thriller film directed by Denis Villeneuve and written by Taylor Sheridan. Set in the lawless border area stretching between the U.S. and Mexico, the film centres on an idealistic FBI agent, Kate Macer, enlisted by a elite government task force official to aid in the escalating war against drugs. Led by an enigmatic consultant with a questionable past, the team sets out on a clandestine journey forcing Kate to question everything that she believes in order to survive. "Sicario NMF /Si.'Ka.Rjo/. (Asesino A Sueldo) used to describe Assassins or Hired Killers in Jerusalem that killed Roman soldiers; In Mexico, Sicario means Hitman". In December 2013, it was announced that Villeneuve would be directing a Mexican border drama, scripted by Sheridan, and Black Label Media would finance and co-produce with Thunder Road Pictures. Basil Iwanyk would produce the film along with Molly Smith, Trent Luckinbill and Thad Luckinbill. In May 2014, Lionsgate acquired the U.S. rights to the film, while Lionsgate International would handle the foreign sales. Emily Blunt signed on to the film in April 2014, shortly followed by Benicio del Toro. Jon Bernthal and Josh Brolin joined the film in May. Daniel Kaluuya, Maximiliano Hernández, and Jeffrey Donovan were then cast. Principal photography began on June 30, 2014 in Albuquerque, New Mexico. The film stars Emily Blunt, Benicio del Toro, and Josh Brolin. The cast gave outstanding performances, especially for Blunt and del Toro. Not since The Young Victoria, in 2009, has Blunt appeared so emotionally exposed on screen. It is an exceptional, Oscar-worthy performance. Del Toro's performance was also truly compelling and subtly layered. With Sicario, Villeneuve has dramatically opened a wider dialogue, helping to make the inarguable into the debatable. It is an eye-opener - a motion picture that asks difficult questions, presents well-developed characters, and keeps us white-knuckled throughout. It is the best in crime/thriller traditions, but goes deeper into a reflection of one of the greatest moral dilemmas in modern society, choosing to not only be memorable, but to matter. It’s Villeneuve's most difficult film. This is a filmmaker operating at his peak - an exceptionally made, provocative and vital film for our times. However, the film's intellectual pursuit, it is little more than a pretty prism through which superficial American guilt and generalized Mexican stereotypes are made to look like the product of serious soul-searching. Villeneuve's treatment of the film's dense and complicated subject matter can be summed up as Mexicans want their homeland back, and the Americans want to endlessly control it. In the end, we have to ask, Do we need another handsome, well-assembled, entertaining movie to prove that we are all victims and monsters? Also, see my review for Enemy. 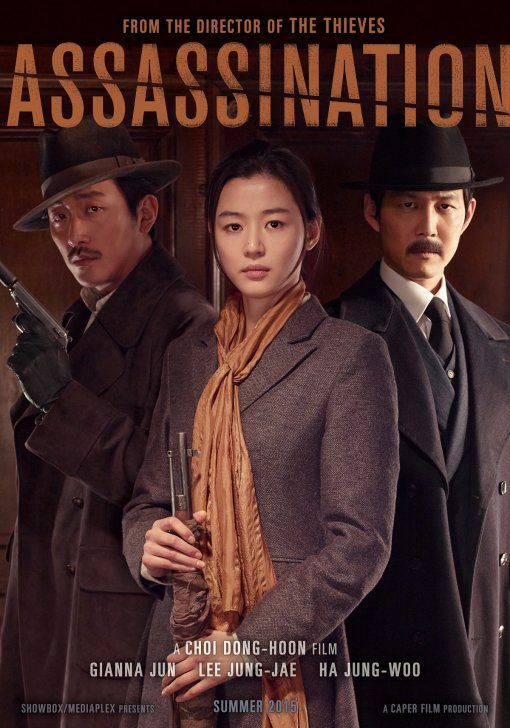 Film Review: "Assassination" ("암살") (2015). What happens when you bring a topnotch sniper, one of the last graduates of the Independence Military School, an explosives specialist, a freelance assassin and his sidekick, and a double agent into an assassination plot? You get Assassination. This South Korean espionage action film co-written and directed by Choi Dong-hoon. Set in Korea in the year 1933, when the country was occupied by the Japanese army. Many warriors of the resistance where forced into the exile in China. Now they are trying to organize the fight from the distance. Now the resistance has learned that the highest commander of the Japanese army is going to visit Korea. They decide to take the chance and kill him by assassination. But the only sniper who is able to make that shot is Ahn Ok-yun, who is serving her time in the prison of Shanghai. The resistance agent Yem Sek-jin is set to get her and her comrades out, but his plan is offered to the Japanese by a traitor. Now, Ok-yun and her warriors not just have to flee from the Chinese prison, she also must face the Japanese army and a very special hit-man, assigned to take her down. Assassination is loosely based on the real life assassination of Japanese Prime Minster Itō Hirobumi. Hirobumi arrived at the Harbin Railway Station on October 26, 1909 for a meeting with Vladimir Kokovtsov, a Russian representative in Manchuria. There An Jung-geun, a Korean nationalist and independence activist, fired six shots, three of which hit Itō in the chest. He died shortly thereafter. His body was returned to Japan on the Imperial Japanese Navy cruiser Akitsushima, and he was accorded a state funeral. With a budget of ₩18 billion (or US$16 million), the film was shot in both Shanghai and Seoul for five months. A special set of 13,500 square meters was created in Goyang, Gyeonggi Province, to recreate the Seosomun Street in Gyeongseong. The rest of the filming took place at the Shanghai set in Chedun, which is 27 times the size of the Hapcheon set in South Gyeongsang Province. The film features an A-list cast of some of Korea's celebrated stars including Jun Ji-hyun, Lee Jung-jae, Ha Jung-woo, Oh Dal-su, Cho Jin-woong, and Lee Geung-young. The cast gave superb performances despite their characters being far-fetched Hollywood nonsense and a poor imitation of a Sergio Leone film. Assassination has dramatically opened a wider dialogue, helping to make the inarguable into the debatable. The film was beautifully made. However, the film failed to include compelling and realistic characters, and instead focusing on its use of laborious plotting and a flabby script. The film ultimately turns into a lumpy and overlong morality play on a failed Hollywood-style Action/Western/Thriller template. The fact that this film is constructed to endorse the exercise of assassins, to emphasize killer bravado and generate glee in frantic manifestations of death is, to my mind, a sharp indictment of it as so-called entertainment in this day. 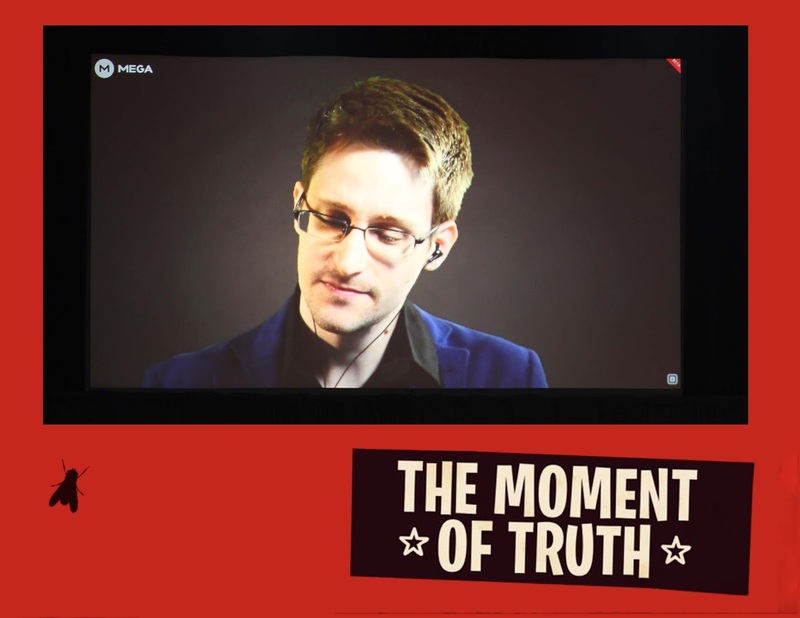 "The Moment of Truth" Press Conference (11/09/2014). Political turmoil and debates have been the staple, and the thorn, in our society since the beginning our modern human history. Recently, New Zealand has been going its own turmoil with the New Zealand Flag Referendum looming on our horizons. With John Key 'shoving' this controversial issue down our throats, we as a nation have become embittered and divided as a result. However, this will not be the story told today. Todays story dates back to exactly a year foretelling another issue, one on a much more global and controversial scale. This is the story of a major press conference that tried to warn us about the dangers and the dark side of our political landscape. With major contributors including the Internet Party's leader Laila Harre, founder Kim Dotcom, American author, journalist and lawyer Glenn Greenwald and Canadian International lawyer Robert Amsterdam. 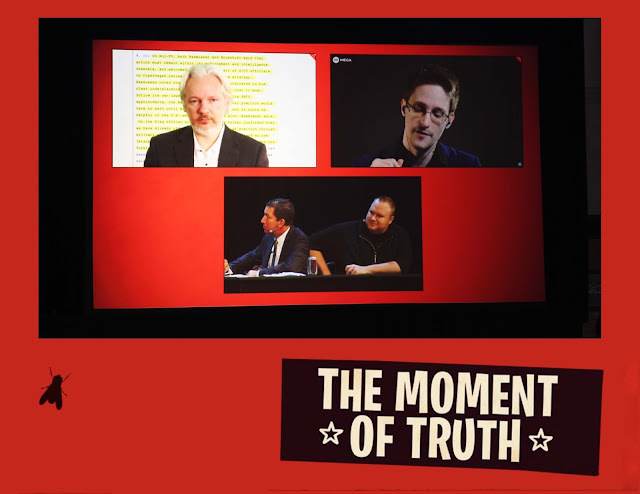 With special guest whistleblowers Edward Snowden and Julian Assange. Together this extraordinary group of individuals, of different backgrounds, came together to unite for a common political cause that would shed light and expose John Key's political image and reveal all his dirty little secrets. This was to be known as The Moment of Truth. The conference itself took place in Auckland Town Hall. And yes, there was an abundance of people attending, and security was 'tight'. The four key contributors themselves, Harre, Amsterdam, Greenwald and Dotcom. Edward Snowden. Known to some as a global hero, and to some as the greatest traitor in U.S. history. Julian Assange, the editor-in-chief of WikiLeaks. The "Five Eyes", five nations (The United Kingdom, Canada, The United States, Australia and New Zealand) under one roof that supports global surveillance. With the photos examining the event and the secrets it has revealed, it has undoubtedly left a shocking response amongst us and will serve as one of the many bitter reminders of what our government does behind our backs. Now the Flag Referendum looming and getting us to vote what such a ridiculous cause, and the catastrophic economical slum we are in, we must ask a very important question... have we had enough? Film Review: "Straight Outta Compton" (2015).